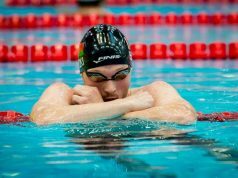 The final World Para Swimming World Series opened in style as multiple world records were broken on the first day (7 June) of competition in Berlin, Germany. Canada’s Aurélie Rivard started the count in the heats of the women’s 200m freestyle. The three-time Paralympic champion clocked 2:10.57, lowering her own S10 world record set last year also in Berlin. Rivard broke it again in the final with a time of 2:08.64. “I am feeling really good. I competed in Italy and Sheffield so it is my third week of racing,” she said. “It is getting really hard mentally and physically so I am surprised I am swimming this fast. Rivard (916 points) also took gold in the event ahead of Israel’s Inbal Pezaro (855) and Kazakhstan’s Zulfiya Gabidullina (825). 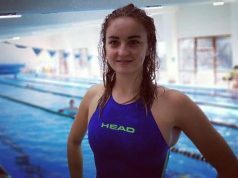 Teenage star Carlotta Gilli (985 points) shone in the women’s 400m individual medley, winning gold ahead of Japan’s Airi Ike (791) and Germany’s Kim Snyder (528). Gilli also set a new world record of 5:08.86 for the SM13 class. Gilli’s second gold of the day came in the 100m butterfly. She scored 924 points to finish ahead of Spain´s Sarai Gascon (897) and USA’s Jessica Long (866). The home crowd celebrated as Paralympic silver medallist Verena Schott set an S6 world record of 3:01.23 in the women’s 200m backstroke. The German (900 points) also topped the podium. Japanese Chikako Ono (802) and Kazakhstan’s Natalya Zvyagintseva (791) followed her. Another of the standout performances was delivered by Ihar Boki (S13), who broke two world records. Belarus’ most decorated Paralympian first set a time of 2:09.80 in the men’s 200m backstroke. Surprisingly, he was not fully happy with his performance. “It is good to have broken the world record but I believe I can swim even faster,” he said. Boki (832 points) also claimed gold ahead of Dutch swimmer Thijs van den End (819) and Poland´s Patryk Biskup (765). Boki set a second world record of 1:52.40 for the S13 class in the men’s 200m freestyle. “It feels good, but I need to improve,” he said. The Belarusian only sealed bronze in the event, though, after scoring 916 points. Mexicans Diego Diaz (933) and Gustavo Sanchez (922) led the standings. There was a Japan 1-2 in the 400m individual medley as Uchu Tomita (779 points) secured gold ahead of compatriot Genki Saito (680). Germany’s Max Gelhaar (631) won bronze. Tomita (918) secured a second gold in the men’s 100m butterfly, this time ahead of Great Britain’s Stephen Clegg (913) and Uzbekistan’s Islam Aslanov (882). 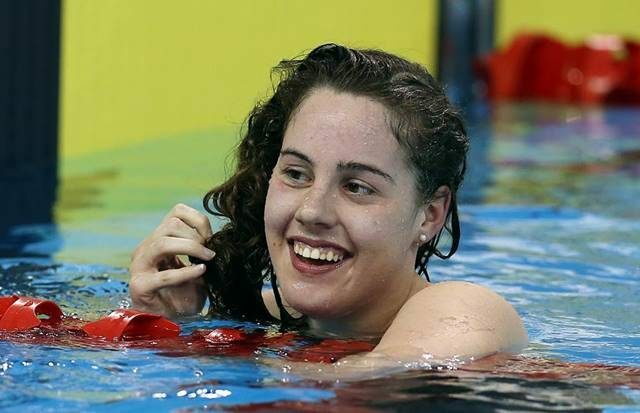 Netherlands celebrated through Rio 2016 bronze medallist Chantalle Zijderveld (984) in the women’s 100m breaststroke. Her teammate Lisa Kruger (971) ended second and Germany’s Elena Krawzow (867) third. Spain’s Antoni Ponce (987) was the remaining winner of the day in the men’s equivalent. Colombia completed the podium through Paralympic champion Carlos Serrano (977) and three-time Rio 2016 silver medallist Nelson Crispin (969). Competition continues on Friday (8 June) with 30 medals up for grabs.